"Great opportunity to spend time with a local family. This gives you access and a sense of belonging to walk in the village behind all the resorts. You are able to see how traditional meals are prepared and play games with the local children. Aisha is your responsible English-speaking contact person in Jambiani. She contacts you with further instructions and makes sure you find your way to the village and your host family. You can contact Aisha in case you have questions before or during your stay. You can reach Jambiani by daladala (local minibus) from Mwanakwerekwe bus terminal in Stonetown in about two hours. The buses stop running sometime in late afternoon so head to the terminal during daytime. The bus won’t cost you more than a couple euros. You can always take a taxi if you’re not in the mood for a crowded and bumpy ride. Take a ride to one of the most famous sights on the East Coast called "the Rock". Ask the local fishermen if you can tag along for a fishing trip. Have a massage or dive in the pool in one of the resorts nearby. "I have visited 3 nights in Jambiani with a family in Mbuyuni village. Great big family and the best experience ever to live as a local, play with kids in this village, home was close to paradise beach. I loved it!" Although communication can be hindered by some language barriers, the experience is still worth it. Your comfort zone may be pushed because the culture can be very different from your own. If you go into this with an open mind and wanting to learn how people here live, this is the opportunity you should take. Remember, you will live how this local family lives so do not expect a glamorous stay. We had clean sheets and room to ourselves, which is all we needed. The food was very tasty! But you will be served a whole fish with eyes included, a first for us. Overall, our host family was very kind to us and we will remember this trip for the rest of our lives." "The best thing was to get to know each other. We had really fun together. We were able to save about half of the payment. With the future savings we are planning to open a retail shop." "Jambiani is a beautiful white sand beach destination full of tourists sunbathing in resorts. The first row of houses on the beach are resorts, hotels and restaurants. After the first row of houses starts the village community, so there is a lot more to see here than just the beach. It was interesting to experience local life outside of the walls of resorts. The parents of our host family both worked in resorts and we were able to witness what an average day for them is at work. 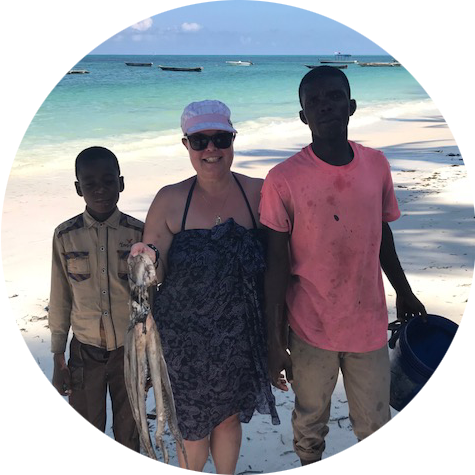 We also got to see how locals build their houses, how the beach boys pick coconuts from trees and sell them to tourists, how cassava root is planted and harvested in fields and how local boys practice and play food ball. This was a very interesting week for us. If you are coming to Jambiani for a beach holiday, we definitely recommend to stay with locals instead of resorts. You will experience so much more here on the village." 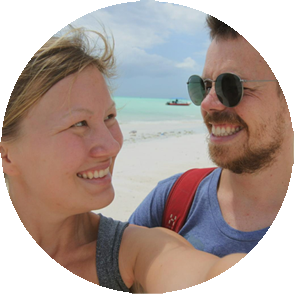 Watch the video from Ikilomalla travel vloggers who stayed in Jambiani. To be able to see the English subtitles, watch the video on Youtube.